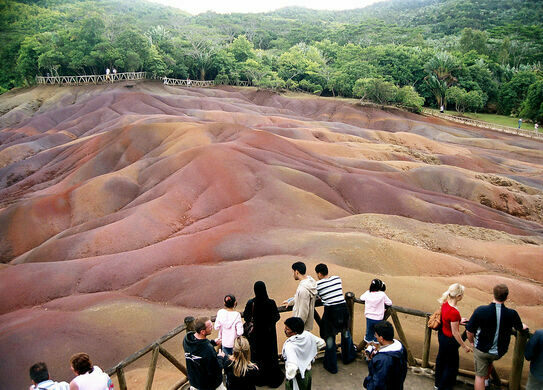 Known as “Terres des Sept Couleurs” in the original French, the Seven Coloured Earths in Mauritius is a rare geological oddity that proves brown is far from the only color of dirt. 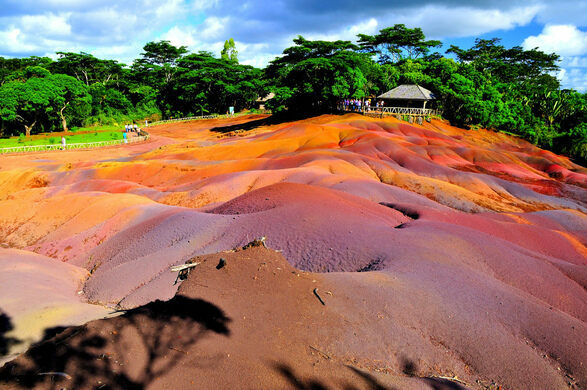 Surrounded by forest and spreading out in seven distinct colors (red, brown, violet, green, blue, purple, and yellow), these psychedelic dunes were formed thanks to a rare confluence of volcanic activity which brought a number of different elements together, each with their own distinct hue. The rolling bands of color are caused by a strange phenomenon in which the different sand particles seem to miraculously settle together, creating patches of red iron or blue aluminum. 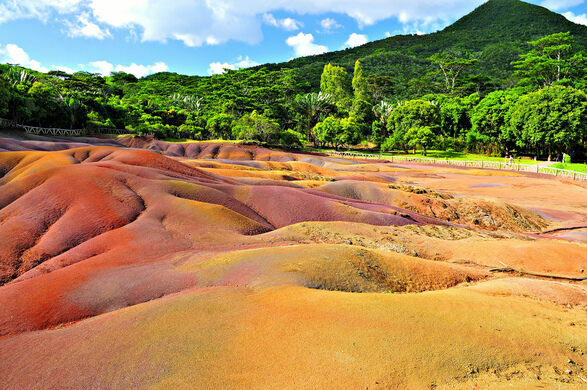 Another odd feature of the dunes is that they do not seem to erode, despite Mauritius’ heavy and frequent rains. The natural beauty of the site has attracted a healthy tourist trade and a wooden fence was erected to protect the sands, but nothing can protect visitors’ eyes from the striking colors on display.